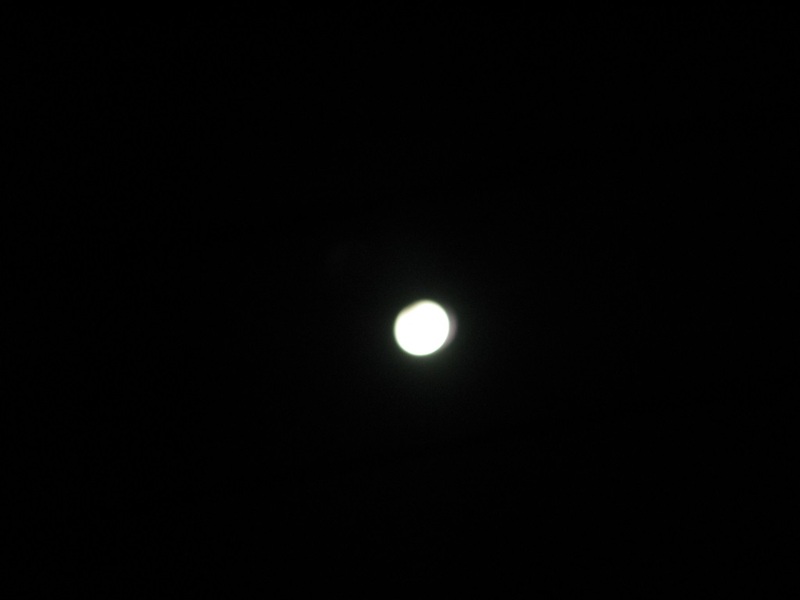 At 9:21:39 UTC, I tried to take photo of today’s partial solar eclipse. The result is not very good, but since I had no tripod or stand and just a camera with simple filter, I think it could’ve been much worse – so I decided to post it here anyway. I was very lucky to even take this shot, since the sky was completely overcast here in Eastern Bohemia the whole morning and the eclipse could be seen only for a moment almost at the end. The photo in full resolution can be seen here.